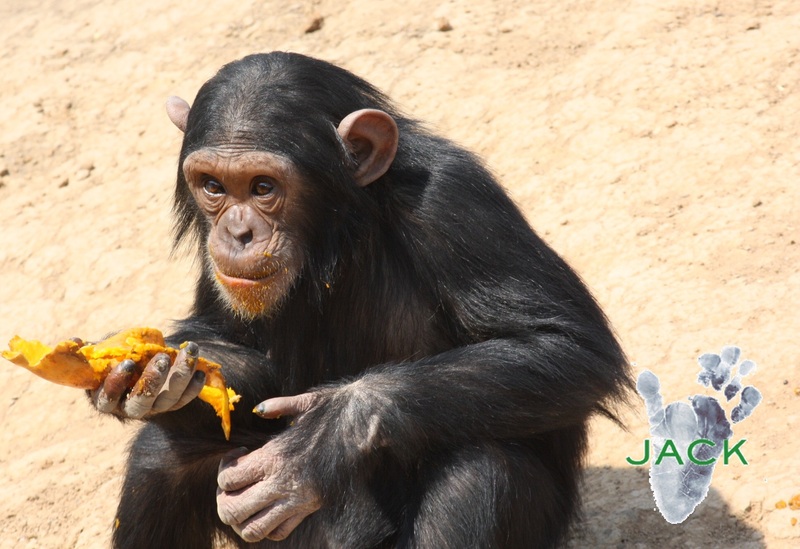 Luna is a very playful female chimpanzee. She is very clever and always full of misschief! Look at her eyes! 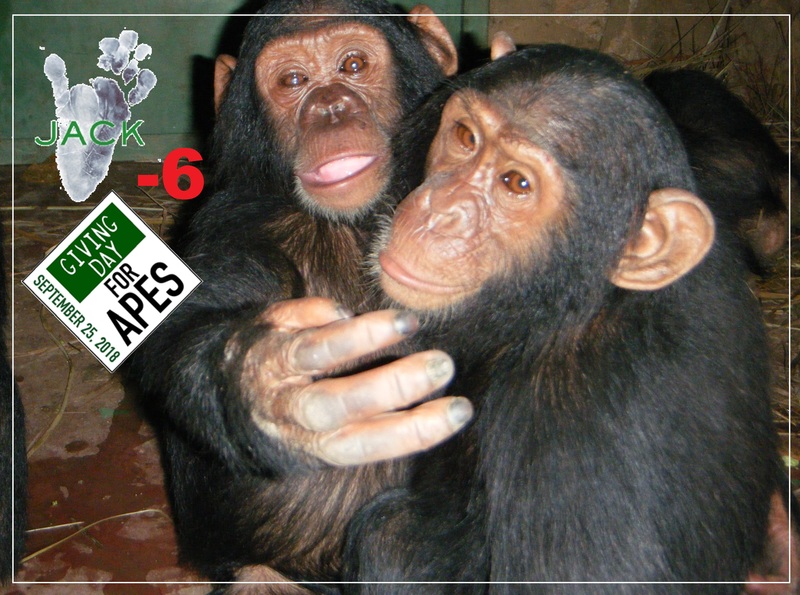 GIVING DAY FOR APES – 6 days to go! 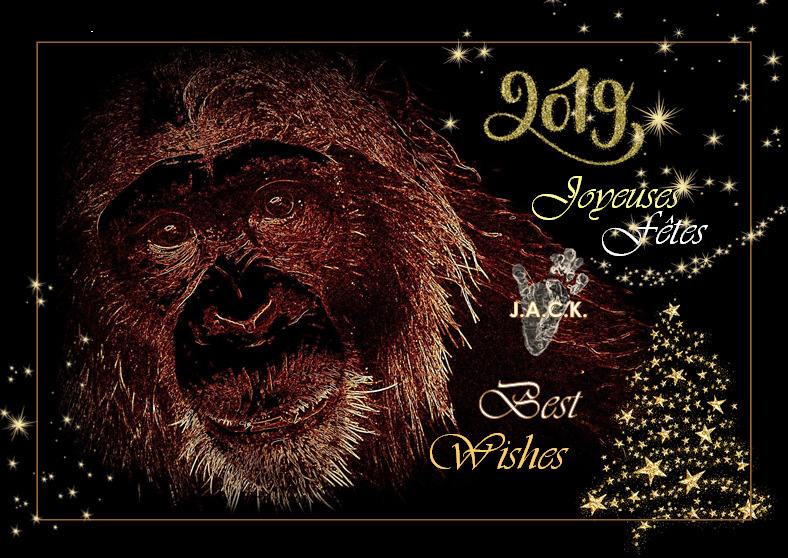 DOGUY is our one-eyed resident to whom we have dedicated this year’s GIVING DAY FOR APES campaign. Every single donation will help our sanctuary cover the different costs of this important surgery (cataract on his reamining eye!). 1/ How DOGUY arrived at J.A.C.K. 2/ How DOGUY adjusted to his life at J.A.C.K. Keep in mind that this huge fundraising event will give DOGUY the chance of not becoming blind. 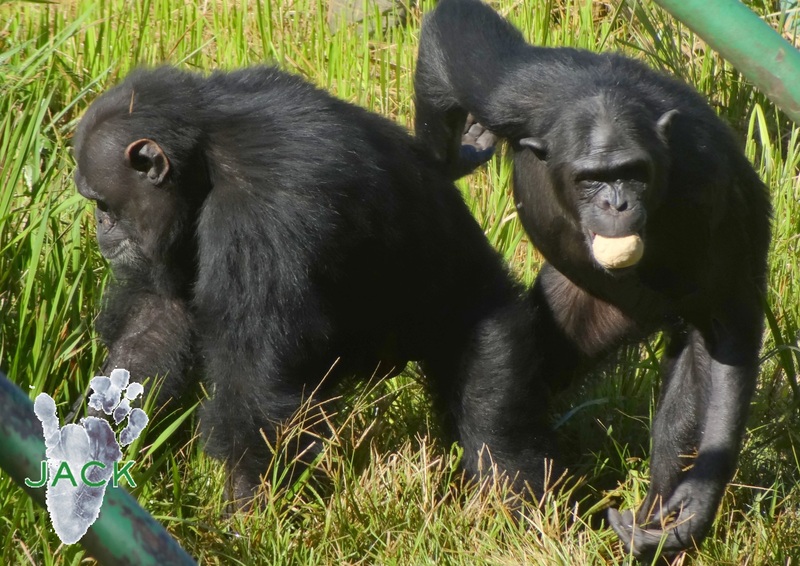 For about a year, DOGUY’s disease in the right eye didn’t progress and we were happy to see that, despite this handicap, DOGUY was living a normal chimpanzee life! Unfortunately, the disease came back and no treatment helped curing the disease. This eye issue seemed to provide DOGUY with some discomfort which made him become a vulnerable member of the group. His strongest friends tried to bully him, but DOGUY had his Guardian Angel : ZAMBA! Yes, ZAMBA had been DOGUY’s best friend since his quarantine period and she had been DOGUY’s protector and guide. 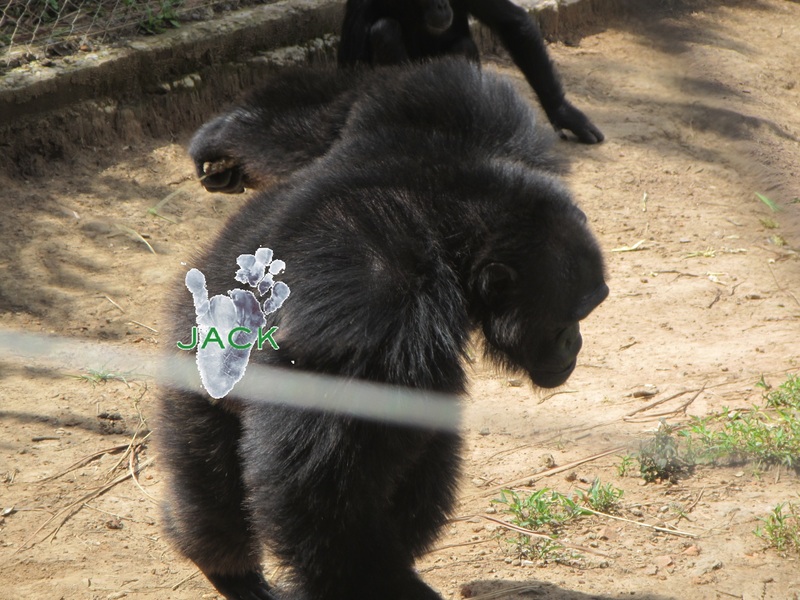 Dominant TIKA is extremely territorial and usually welcomes you with …stones!! The chimpanees at J.A.C.K. don’t draw straws, but (sugar) canes!!! Remember months ago, DOGUY , one ofour young males, had his right eye removed. A Spanish vet, Dr IDOIAGA Ainare, came for the surgery that was completely sponsored by PRO WILDLIFE and by some PASA donors. When removing the eye, Dr Ainare noticed the other eye was sick too and insisted upon having different tests to check the evolution of the disease on the remaining eye. It took some time to find the appropriate equipment and person to carry out these very particular tests. Finally, a Congolese Doctor decided to help – the results of the tests were not positive: Doguy had uveitis and a growing cataract! 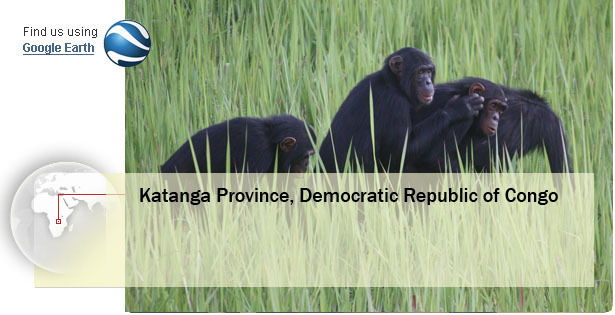 Since the results came out, DOGUY has had all the necessary treatment and has been closely followed by both Dr Ainare and the Congolese Doctor. 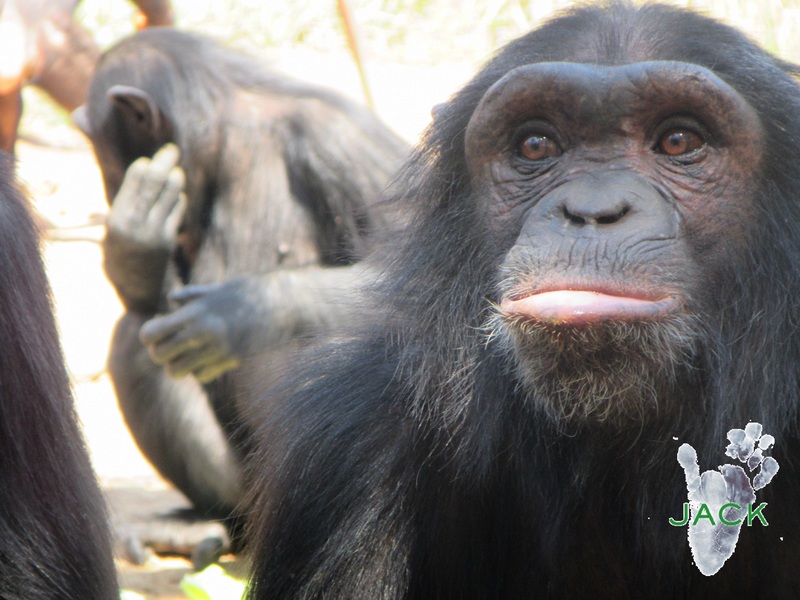 The young chimpanzee is still under medication today and will be sedated again in the coming days to check the progress of his eye. Many, many thanks to our two devoted Doctors! We keep our fingers crossed DOGUY’s left eye in on the mend! 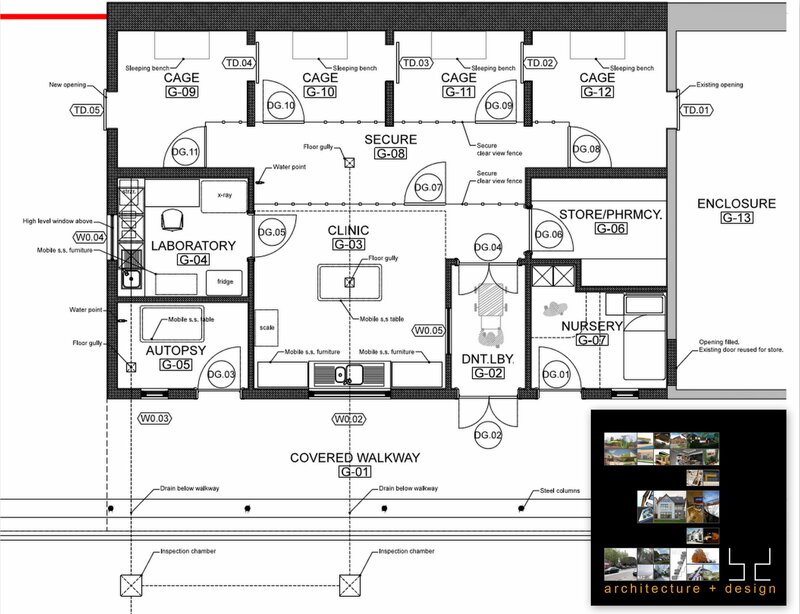 3bd Architects offer and deliver full architectural services including feasibility assessments, outline & planning applications, construction design, construction inspections and contract management. Also, 3bd are architects based in Bristol currently involved with projects in the U.K, Tunisia, Ghana, Cameroon, Zambia and the Democratic Republic of Congo. Mr KALUBA Mbachi is one of the 3bd architects. 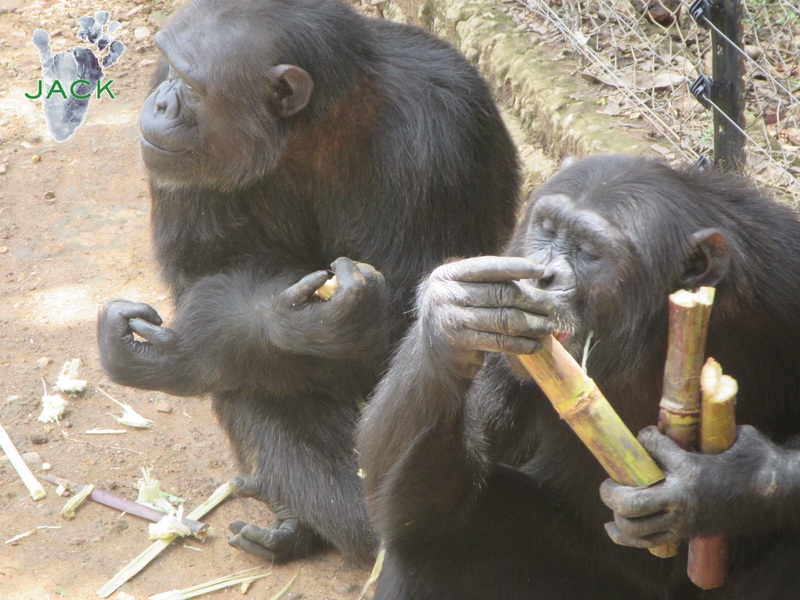 He regularly stays in the DR Congo and very often gives a volunteer hand at our Sanctuary. Since J.A.C.K. 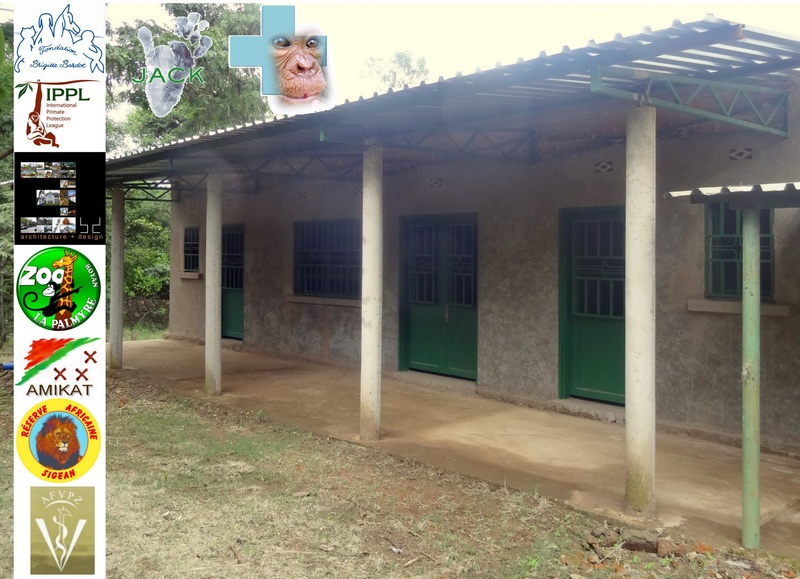 2017 main development project was to build a Veterinary Clinic, Mr KALUBA immediately offered his experience and time to draw the architectural plan of the future construction! Adviced by two vets, Dr BINEMO (J.A.C.K. 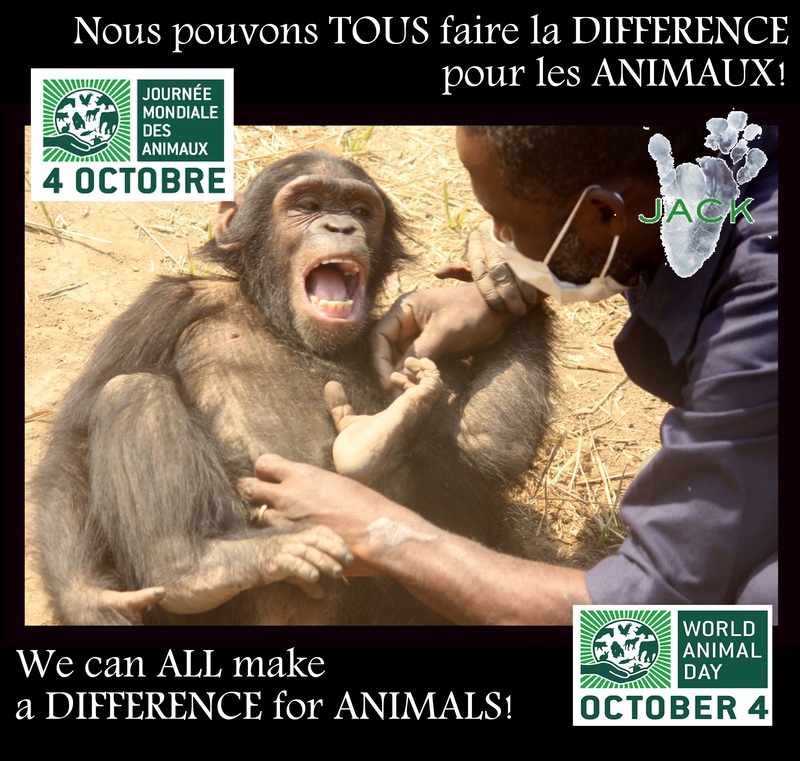 DRC vet) & Dr PETIT from the ZOO of LA PALMYRE, Mr KALUBA designed a building made of 5 rooms (theater, Nursery room, pharmacy, lab and necropsy room) attached to 4 rooms to isolate sick chimpanzees. 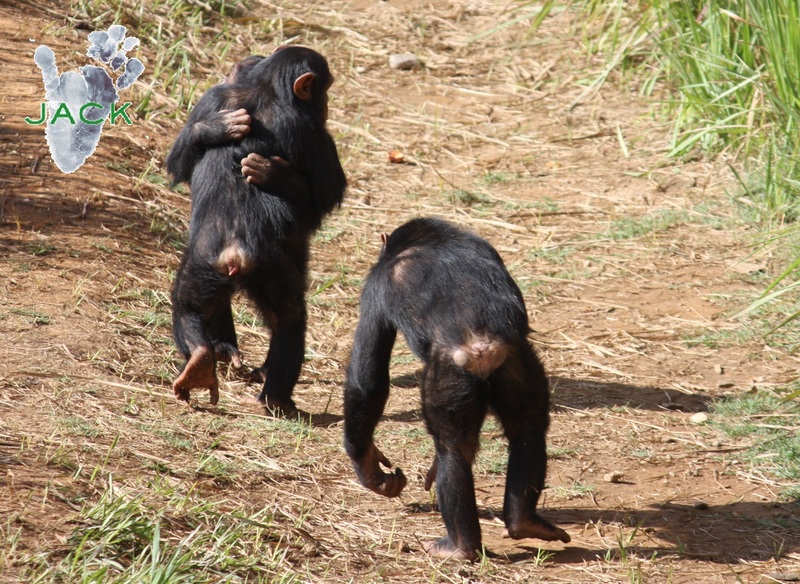 Thanks to Mr KALUBA’s work, our sanctuary managed to budget the project and to submit it to its donors and partners. 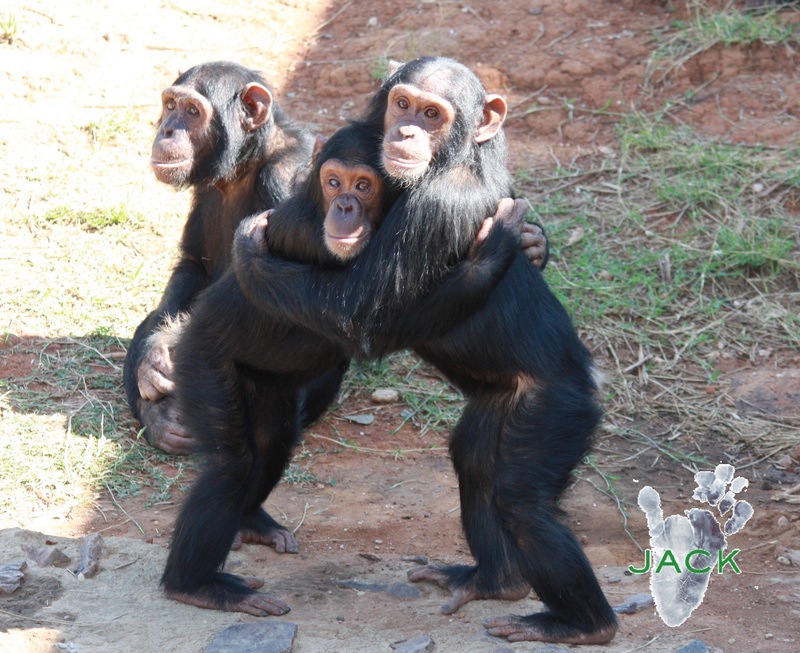 In a few months, and thanks to the wonderful trust of its donors, funds were sent to J.A.C.K. and the first brick of the building was laid in May 2017! Today, the building is finished and extra work needs to be done: tiles must be set, all the electricity and plumbery systems and, of course, vterinary equipment must be purchased!! J.A.C.K. Sanctuary , its team and its ‘furry’ residents wish to tell 3db and Mr KALUBA how grateful they feel for this wonderful donation! It is like they made J.A.C.K. dream come true! Mbachi and 3bd Architects, thank YOU so much for THEM! 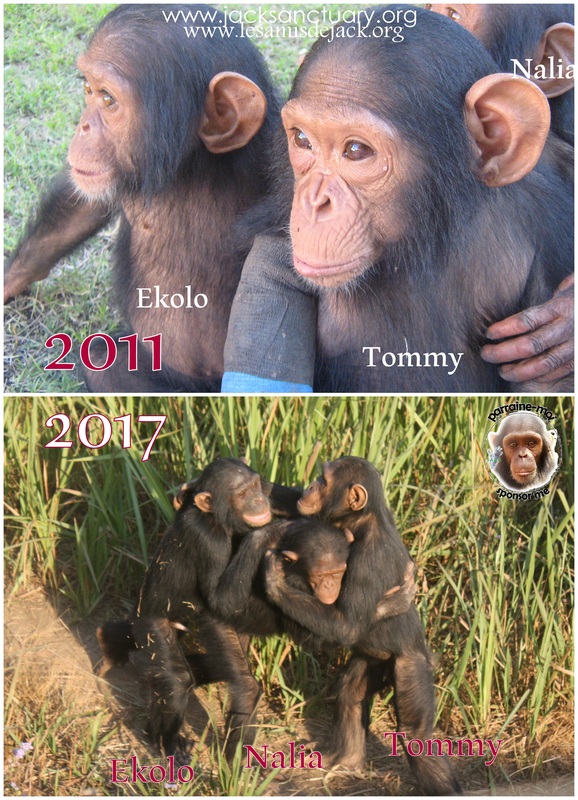 The day EKOLO arrived, he was immediately introduced to TOMMY & NALIA who were in quarantine. Since then, the 3 of them have been best friends!